Being in a traffic accident is frightening. In some cases, a person may not stop right away or simply flee the scene. The penalties for failing to stop after an accident can be severe. If you have been charged with failure to stop after an accident, commonly referred to as hit and run or hit-skip, you need an experienced traffic attorney on your side. Chambers Law Office is here to help. Under Indiana law, a driver involved in an accident shall do the following: (1) immediately stop the operator’s motor vehicle: (A) at the scene of the accident; or (B) as close to the accident as possible; in a manner that does not obstruct traffic more than is necessary. (2) remain at the scene of the accident until the operator does the following: (A) Gives the operator’s name, address, and registration number for the car to any person involved in the accident. (B) Exhibits the operator’s driver’s license to any person involved in the accident or occupant of or any person attending to any vehicle involved in the accident. If the accident involves injury to another person, the driver must also provide reasonable care or call 911 and notify the police. IC 9-26-1-1.1. If the accident involves an unattended vehicle or damage to property other than a vehicle, along with the requirements noted above, the driver must also take reasonable steps to locate and notify the owner or person in charge of the damaged vehicle or property of the damage and if the driver cannot find the owner or person in charge of the damaged vehicle or property, he or she must contact a law enforcement officer to provide their information. Under Indiana law, a driver who knowingly or intentionally fails to comply with the laws and regulations for stopping and reporting an accident commits leaving the scene of an accident, a Class B misdemeanor. However, the offense is a Class A misdemeanor if the accident results in bodily injury to another person. Additionally, the offense is a Level 6 felony if: (A) the accident results in serious bodily injury to another person; or (B) within the five (5) years preceding the commission of the offense, the operator had a previous conviction under the Habitual Traffic Violator laws, a Level 5 felony if the accident results in the death of another person, and a Level 3 felony if the operator knowingly or intentionally fails to stop during or after the commission of the offense of operating while intoxicated causing serious bodily injury (IC 9-30-5-4) or operating while intoxicated causing death (IC 9-30-5-5). Along with the possibility of probation or jail, a person’s driver’s license can be suspended for up to the length of the maximum sentence. For example, if the offense is a Class B Misdemeanor, the person’s license can be suspended for up to 180 days. Accused of Failure to Stop After an Accident? Call Former Deputy Prosecutor Julie Chambers today! As a former traffic court deputy prosecutor, Julie Chambers understands the criminal justice system and traffic laws. She spent nearly five years prosecuting misdemeanors, felonies and traffic offenses before opening her own criminal defense practice. 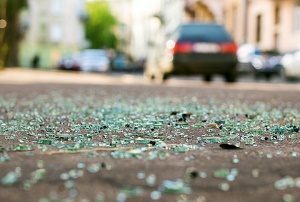 Chambers Law Office represents clients charged with Failure to Stop After an Accident throughout central Indiana, including Marion, Hamilton, Hancock, Johnson and Hendricks counties. If you are facing charges related to a traffic accident, contact Chambers Law Office today at 317-450-2971.